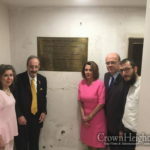 Following the recent attack on the synagogue run by Rabbi Heller in Bushwick, his students have initiated a GoFundMe campaign to help enhance the Chabad House, and give a needed boost to the activities in the center. They penned a letter to the public asking to join in this mitzvah. Many of you read about the shocking attack that was experienced by Chabad of Bushwick. 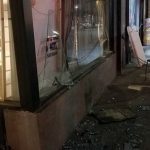 What might sound like one of the lesser anti semetic attacks that we’ve been experiencing lately actually could have been one of the worst as the Rabbi’s children were literally playing right next to where a brick went flying through. Just like in terror attacks in Israel, rock throwing can be deadly G-d forbid. Rabbi and Rebbetzin Heller of Chabad of Bushwick aren’t the type to make public fundraising campaigns but after we pressured him he did allow his students to make one on behalf of the Chabad House. We are asking everyone to please give even a tiny donation as many small donations will trigger GoFundMe to boost the campaign etc. The proceeds from this fundraiser will go towards increasing the activities of Chabad of Bushwick, and towards renovating the Chabad House – including security enhancements – so it can be a beautiful and a safe home for the Jewish community of Bushwick. 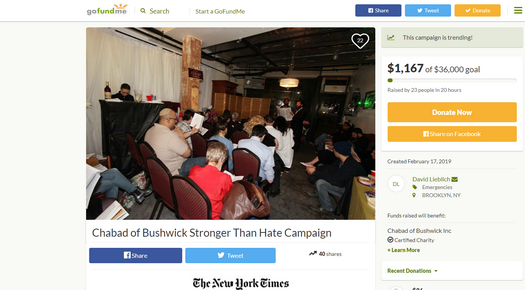 All proceeds from this campaign will go directly to Chabad of Bushwick and will be tax deductible. Thank you for the post. What is their goal for this fundraiser? thats a lot of money for a window…but then again let us fight fear with love. I’m sure the rov could use that gelt so I say good luck! I don’t think all the monies are for the window. I would suggest (obviously a window). Security cameras etc. and a bit more for the aggrevation couldn’t hurt. Well deserved. If thugs are shown that if they vandalize a Chabad House, it will result in its growth and rather than its demise, they will stop vandalizing them. Raising more than the damage may encourage others to have hate crimes perpetrated against themselves to make money or get attention. Raising lots of money will also help them grow and keep the criminals away. If people were to follow your logic, anybody raising money would have lit their houses of fire a long time ago, but that has not happened. Your concerns and unsubstantiated.